Do you remember what you were doing on Monday, January 1, 2007? If you don’t, it’s no surprise, but on this day some people you never met were firing off the first shot in an all out war against the integrity of your vote in Missouri’s future elections, the responsiveness of state representatives and state senators to their constituents, and governors to will of the people who initially elected them. Ultimately, they intend to buy control of the state government of Missouri by very generous and targeted contributions to politicians who favor their wishes. And, this will effectively nullify the vote of the people in choosing politicians whom they think they can trust. These people are the Cloners, and they constitute one of the most destructive and wealthiest special interest groups that have ever emerged in Missouri’s history. To better understand what makes someone a Cloner, you have to look at the state of the law in Missouri before and after the passage of the Amendment 2 of 2006, the so-called Missouri Stem Cell Research and Cures Initiative. From this chart you can see that a lot of their campaign assertions in 2006 were purely sensationalist hyping to mislead the voters. As you can see, before Amendment 2, any private person, entity, or institution could spend its own money on Embryonic Stem Cell Research (Somatic Cell Nuclear Transfer). 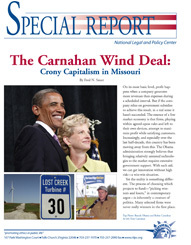 After Amendment 2, the public funds and taxpayer dollars of the State of Missouri could be spent on Somatic Cell Nuclear Transfer. This had been previously forbidden by the 2003 Life Science Trust Fund Statutes. And they could conduct this research with incredible legal immunities and protections. Therefore, a Cloner is someone who spends a lot of his or her money trying in every way possible to get the State of Missouri to fund Human Cloning and Embryonic Stem Cell Research (i.e.-Somatic Cell Nuclear Transfer) out of the proceeds of the Life Sciences Research Trust Fund. At the beginning, Chris Koster was a Republican State Senator. But shortly thereafter, he would jump to the Democratic Party and run for the Democrats as their candidate for Attorney General of Missouri. His first unlimited campaign contributions came from ostensibly Republican donors. How can you explain this? The biggest event of the 2006 state election cycle was the heated contest for the passage of Amendment 2, the so-called Stem Cell Research and Cures Initiative. The pro-Cloners wanted the constitutional right to perform Somatic Cell Nuclear Transfer (Human Cloning) with state funding. The then existing Missouri statute, § 196.1127, RSMo prohibited this. But, the incredible $30,000,000 expenditure by Amendment 2’s proponents and a fraudulent ballot summary in the voting booth, saying it would ban human cloning, allowed them to steal the election by a mere 1.5%. Removes the maximum contribution limits per election year for most statewide elected offices by repealing parts of Section 130.032 and prohibits any candidate for statewide office, except candidates for a special election, from accepting campaign contributions during the legislative session…. This was a real prize for the proponents of Amendment 2 as witnessed by the spectacular contributions that arrived in Chris Koster’s coffers immediately after the law went into effect on January 1, 2007. There is hereby established in the state treasury the “Life Sciences Research Trust Fund” to be held separate and apart from all other public moneys and funds of the state, including but not limited to the tobacco securitization settlement trust fund established in section 8.550. The state treasurer shall deposit into the fund twenty-five percent of all moneys received from the master settlement agreement… beginning in fiscal year 2007 and in perpetuity thereafter…. So, 25% of $3.056 billion is $760,000,000. This is real money. These unlimited campaign contributions will permit the Cloners to corruptly buy the loyalties of many State Representatives and Senators. And then these politicians will become increasingly compliant in conforming to the Cloner’s will. But, unexpectedly, on July 26, 2007, the Missouri Supreme Court struck down HB 1900 in the Trout case. Undeterred by this setback, the forces wanting unlimited campaign contributions regrouped and, with the help of Senator Charlie Shields, passed a new bill, Senate Bill 1038 on May 16, 2008. SB 1038 was effective on August 28, 2008, just in time for the election of 2008. This is probably a world record in the re-passing of a piece of legislation that was struck down by the Missouri Supreme Court. It was in this election that Chris Koster, then running as a Democrat, became the Missouri Attorney General who has through March of 2012, collected $393,000 in contributions from recognized Cloners. Kansas and Missouri legislators pushing life-science funding are bubbling over news that the Stowers Institute for Medical Research plans to build a second campus in Kansas City…. It is very important to remember that the Stowers Institute, its principals and owners contributed the vast majority of the $30,000,000 spent to promote Amendment 2 and its victory from a fraudulent ballot summary that said it would ban human cloning when it in fact created a constitutional right to perform Somatic Cell Nuclear Transfer. Not a soul testified this morning for or against a bill (SB1038) removing Missouri’s campaign contribution limits. But the 8:15 a.m. public hearing did include a pointed exchange between the bill’s sponsor, Senate Majority Leader Charlie Shields, R-St. Joseph, and freshman Rep. Michael Frame, D-Eureka. Shields’ argument for removing the caps rests on this fact: Big donors find ways around them. That makes it hard to track the money in politics. Shields responded with a little history. One of the most senior legislators, he won his first legislative election in 1990, before Missouri had contribution limits…. ‘People believe limits keep the money out of politics. What I argue is they keep transparency out of politics,’ Shields said. This is one of the most telling political statements ever made by a politician. Let’s translate Shield’s final statement: You stupid people, we are going to give you transparency so you can watch while the value of your vote and its control on your elected officials are reduced to nothing. Shall a law be enacted to limit campaign contributions to persons or committees by persons or committees per election cycle to $100 and $200 depending on the population of the political district and to $300 for statewide candidates; require disclosure by contributors of employer or occupation when contributing in excess of $25 per person; within 90 days of the election to fill the office, require contributions, in excess of expenses, that are 10 times the maximum amount allowed be returned to the contributors or remitted to Missouri Ethics Commission…. Missouri voters overwhelmingly approved Proposition A by a vote of 73.9% to 26.1%. To wit, you are now updated on the money flows by which the Cloners corrupted the Republican leaders who energetically supported the MOSIRA legislation. We are hereby exposing the following Republicans who vigorously supported the MOSIRA legislation. The cases in point include Steve Tilley, John Diehl, Eric Schmidt, Timothy W. Jones and others. And, we repeat that MOSIRA is designed to start the flow of money to fund the purposes of Amendment 2. These members of Republican leadership in the Missouri Legislature and others were able to pressure sufficient other members of the Republican Party into submission causing the illegal MOSIRA legislation to pass in the House by 94 to 48 and in the Senate by 30 to 4. In the House, 60 Republicans and 34 Democrats voted yes, while 39 Republicans and 9 Democrats voted no. In the Senate, 22 Republicans and 8 Democrats voted yes, while 4 Republicans voted no. Without some fundamental changes in this situation, it will be possible for the Cloners to purchase control of the House and Senate for just a few million dollars in well-placed contributions in any House or Senate race they choose. And the MOSIRA vote proves the Cloners are well on their way to accomplishing this goal. 196.1127. 1. The moneys appropriated to the life sciences research board pursuant to sections 196.1100 to 196.1124 shall be subject to the provisions of this section. (6) ‘Prohibited human research’, research in a research project in which there is the taking or utilization of the organs, tissues, or cellular material…. (b) Any moneys received or controlled by an official, department, division, or agency of state government or any political subdivision thereof, or to any person or entity pursuant to appropriation by the general assembly or governing body of any political subdivision of this state…. 3. Public funds shall not be expended, paid, or granted to or on behalf of an existing or proposed research project that involves abortion services, human cloning, or prohibited human research. A research project that receives an award of public funds shall not share costs with another research project, person, or entity not eligible to receive public funds pursuant to this subsection…. 4. The provisions of this section shall inure to the benefit of all residents of this state. 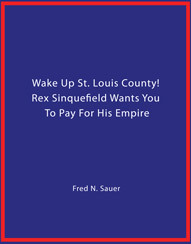 Any taxpayer of this state or any political subdivision of this state shall have standing to bring suit against the state of Missouri or any official, department, division, agency, or political subdivision of this state, and any recipient of public funds who or which is in violation of this subsection in any circuit court with jurisdiction to enforce the provisions of this section…. Representative Tim Jones, the Majority Floor Leader in the House, in an incredible betrayal of the pro-life movement, made a vociferous argument that it was unconstitutional to attach the 2003 Life Science Trust Fund restrictions to any appropriations. He was a key factor in facilitating the passage of MOSIRA without the prohibitions against using state funds for abortion services, human cloning and fetal-tissue research. This is one of the worst examples of corruption and it confirms that unlimited campaign contributions are destroying representative government in Missouri. 3. As used in this section, the term ‘unborn children’ or ‘unborn child’ shall include all unborn child or children or the offspring of human beings from the moment of conception until birth at every stage of biological development…. By a series of recent initiatives, Republicans have transformed our party into the political arm of conservative Christians. The elements of this transformation have included advocacy of a constitutional amendment to ban gay marriage, opposition to stem cell research involving both frozen embryos and human cells in petri dishes…. In my state, Missouri, Republicans in the General Assembly have advanced legislation to criminalize even stem cell research in which the cells are artificially produced in petri dishes and will never be transplanted into the human uterus. They argue that such cells are human life that must be protected, by threat of criminal prosecution, from promising research on diseases like Alzheimer’s, Parkinson’s and juvenile diabetes…. I do not fault religious people for political action. Since Moses confronted the pharaoh, faithful people have heard God’s call to political involvement…. 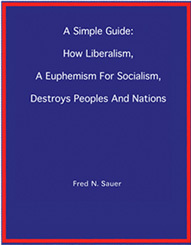 …But even in the absence of constitutional issues, a political party should resist identification with a religious movement….For politicians to advance the cause of one religious group is often to oppose the cause of another…. …But there was much that held us together. We believed in limited government, in keeping light the burden of taxation and regulation. 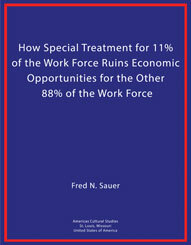 We encouraged the private sector, so that a free economy might thrive. The Glory of the Lord settled upon Mount Sinai. The cloud covered it for six days, and on the seventh day he called to Moses from the midst of the cloud. To the Israelites the glory of the Lord was seen as a consuming fire on the mountaintop. But Moses passes into the midst of the cloud as he went up on the mountain; and there he stayed for forty days and forty nights. All of these statutory positions are completely acceptable to Judeo-Christian traditions and teachings as correct interpretations of the 10 Commandments that Moses delivered to us. If anything is quite clear, it is that Cloners are on the attack against the cultural foundations of the people of Missouri with no respect to the intent of the above cited statutes. And the will of the people so expressed is now under vicious attack by the very wealthy and very small group of special interests who are trying to tear down the Judeo-Christian fabric of our Constitution and statutes by a jihad in pursuit of state funding for Embryonic Stem Cell Research. At all times, these same people have been absolutely free to spend as much of their own money on Embryonic Stem Cell Research as they want . But, instead, they insisted on launching a $30,000,000 wrecking ball in the form of Amendment 2 against the State of Missouri and its statutes and the very Republican Party that elected Senator John Danforth. As a result, they can use your money via the State Treasury to do the black science of Human Cloning forbidden by the 2003 Life Sciences Trust Fund statutes. How much more un-Christian and phony can one be? And, what is the propriety of destroying the values of everyone’s vote regardless of their economic circumstances those who cannot make unlimited campaign contributions? While elites steal the politicians with unlimited campaign contributions, the value of the votes of all other voters is being destroyed. Phony, Phony, Phony! Five years after a budget-busting $3 billion was allocated to embryonic stem cell research, there have been no cures, no therapies and little progress. So supporters are embracing research they once opposed. California’s Proposition 71 was intended to create a $3 billion West Coast counterpart to the National Institutes of Health, empowered to go where the NIH could not – either because of federal policy or funding restraints on biomedical research centered on human embryonic stem cells. In summary, former Senator Danforth’s words point to an all out war by RINOs against the Pro-life and Judeo-Christian value Republicans. 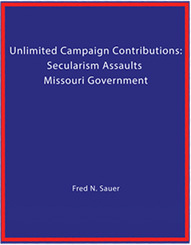 This makes the Cloners the key drivers in the use of unlimited campaign contributions to eliminate any candidate holding “Christian values” from ever holding public office in Missouri. And, this is why Cloner names are prevalent in all the Missouri campaign finance reports of all the upper-tier Republican office holders who have been most ethically compromised in the passing of the MOSIRA legislation in September 2011. MOSIRA is a wasteland empowering and funding the special interests of the Cloners in ways that most people cannot imagine (See www.missouriroundtable.org). This singular power of the Attorney General, now Chris Koster, wipes out any citizens right to accuse anyone of violating state constitutional and statutory law, because private citizens can only file civil lawsuits. This means no private citizen can ever file a civil claim under the provisions of Amendment 2. Who else in the state has ever received such legal immunity? How about doctors, automobile dealers or anyone else in business? No; Cloners receive complete immunity against civil suits. Absolutely unbelievable! You cannot touch them. They can only be reached by the Attorney General. Thus, an Attorney General completely loyal to the Cloners is an essential element in giving all stem cell researchers the fullest extent of these legal immunities. Only the Attorney General can attack them for what they are doing. So, now we know exactly why the Cloners have purchased Chris Koster’s loyalty with political contributions at least $393,000. He will bury their black enterprises in a sealed tomb of legal protections. And the Cloners have a long-term strategy to preserve and enhance their claims for the use of taxpayer dollars as the same would have been provided under the illegally passed MOSIRA. They are stacking potential candidates for statewide office everywhere they can. For instance, here is information about someone who is obviously a top prospect of former Senator Danforth’s line of succession to serve and protect the Cloner’s interest forever with unlimited campaign contributions. Former senator Jack Danforth of Missouri had a message for his state last week. He’s pinpointed the candidate who can win next year’s U.S. Senate race. And that candidate’s last name is not Blunt or Steelman. Danforth, a Republican, wants to introduce you to lawyer, author, professor, former ambassador and former acting assistant secretary of state Thomas Schweich (rhymes with ‘bike’). On Thursday, Danforth escorted his old colleague to Springfield and then up to the statehouse in the city where Danforth almost single-handedly launched the resurrection of a moribund Missouri GOP in the 1960s. His key phrase for Schweich: fresh face. That is, Danforth and others don’t believe that either Roy Blunt, who has been endorsed by Sen. Kit Bond and more than 70 statehouse lawmakers, or Sarah Steelman, the maverick former state treasurer, can knock off Democrat Robin Carnahan. So what’s so hot about a guy nobody has heard of and who has never held elected office? Let’s begin with three names: Danforth, Sam Fox and Bert Walker, all of whom publicly back Schweich. Danforth remains Missouri’s most prominent moderate Republican. He can open doors anywhere. Sam Fox? He’s a former ambassador to Belgium but, more importantly to Schweich, he’s a fundraiser extraordinaire. Danforth calls Fox the best GOP fundraiser in the country. Fox makes money a non-issue. Businessman and former U.S. ambassador to Belgium, Sam Fox, hosted 70 dinner guests at his Clayton home recently in support of Missouri Cures, a nonprofit organization dedicated to promoting and protecting stem cell research in St. Louis and across the state…. Sharing the podium with McDonald were Dr. William Danforth, chancellor emeritus of Washington University; Dr. Sessions Cole, chief medical officer of St. Louis Children’s Hospital; and Donn Rubin, executive director of The Coalition for Plant and Life Sciences…. Missouri Cures, formerly known as the Missouri Coalition for Lifesaving Cures, was instrumental in the 2006 passage of the Missouri Stem Cell Amendment. The amendment protects the ability of scientists working in Missouri to pursue federally approved forms of stem cell research. The amendment also protects a patient’s right to access future stem cell therapies in Missouri. Former Senator John Danforth’s endorsement of St. Louis law professor Thomas Schweich for U.S. Senate gives the little known former U.S. ambassador an initial jolt of credibility among top tier Republicans who remain uneasy about next year’s election prospects…. Danforth, a political moderate who has said evangelical Christians wield too much influence in the modern Republican Party , is once again taking on the establishment of his party with his public backing of Schweich. It’s a direct rebuke of Congressman Roy Blunt’s candidacy and a clear separation from the current incumbent, Sen. Kit Bond, who just tossed his official blessing to Blunt on Friday…. ‘I think we have a better chance at keeping Senator Bond’s seat with Tom Schweich than anyone else I can think of,’ Danforth said…. Schweich’s mere public interest in the race, and Danforth’s enthusiastic blessing of it, is another piece of evidence of the strain in a Republican party currently fighting about whether going through rehab is the best option…. Across the state, large numbers of forward-looking Republicans are concerned that a small group of Missouri Republican leaders have – without a serious dialogue or discussion about the future of the party – anointed U.S. Rep. Roy Blunt as the GOP candidate to replace retiring Missouri legend Sen. Christopher “Kit” Bond. There has been an active effort to crush, pre-emptively, any possible challenger. Yet most of them acknowledge that Blunt will have very difficult time winning…. As a lifelong Republican and Missourian – and a former ambassador and senior international law enforcement official under President George W. Bush – I am at a loss for why the Republican Party of Missouri would rather be united in defeat than fight for victory. Blunt’s vulnerabilities have been discussed widely on talk radio and the Internet. Secretary of State Robin Carnahan, who has announced her candidacy for the Democratic nomination for the seat, will paint him as a leader of the Congress that delivered us a multi-trillion dollar deficit. She will say he turned a blind eye to the greeding frenzy on Wall Street. Worse yet, I already can see the advertisements showing grainy pictures of his family members, trumpeting that they are lobbyists for some powerful industries that have hurt ordinary Missourians. And, like it or not, Blunt’s son – another well-meaning guy – left the governor’s office under a cloud that has not yet lifted. Can you imagine the field day that Carnahan will have? For Republicans, it is in all likelihood a recipe for disaster. Most everyone knows it, yet only a few will say it out loud…. …We need to change direction before it is too late…. We need to stick by our core values of protection of life and the right to bear arms but get out of people’s bedrooms and private lives with our mean-spirited moral dictates. And we need a nuanced foreign policy that achieves our security objectives without using tactics that backfire and actually make us even more enemies around the world. We need a party that is more economically responsible, more tolerant, more energetic, less closed-minded and less judgmental. Blunt cannot credibly take Missouri forward on that sort of a platform. We should not discourage competition in the race for the Republican nomination for Senate. We should shed some light on the back-room politics of the sedentary, uncreative Republican leadership in this state, which appears to be in denial about the unfortunate route that we are traveling right now. They either should stop crushing the competition and start looking for a new direction or stand aside and let others take on the task. Mr. Schweich has just ripped the Republican Party in every way imaginable. If this is all true, why is he in the Republican Party? Are these really the words of a “life-long” Republican? It sounds much more like a reluctant Republican, or an “acting” Republican. And then there is the infamous $500 contribution he gave to Claire McCaskill. Here is a “life-long” Republican who could not identify any contribution to a Republican, and his only identifiable contribution was to one of the most liberal Democrats to ever hold office in Missouri. Is he a Republican at all? Oh my gosh, just look at all these Cloner contributions. Now this tells you the truth about Tom Schweich. Is he just a “clone” of Senator Danforth working on the jihad against Pro-Life and traditional value Republicans? Why don’t these people just pack-up their money bags and their unhappiness with the Republican Party and follow Chris Koster over the Democratic Party where they will be welcome with all their money and desires to inflict their special interests upon the citizens of Missouri? And, oh yes, as many of you probably already know, Roy Blunt, who has a 100% rating from the National Right to Life, smashed Robin Carnahan by 14 points in defending the seat held by Senator Kit Bond. Thank you Roy Blunt.